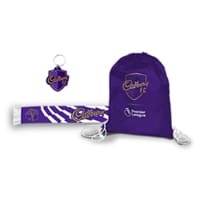 Cadbury has got thousands of free prizes to giveaway including their sports bags. Follow our link and fill up the form to submit your entry for a chance to receive one of these. Use barcode 5034660520825, followed by batch code 0B00582351 in the required fields. Click on “GET IT HERE” button and then follow instructions given above for a chance to win this these goodies.